 IIMA will exhibit at the South East Asia Iron & Steel Institute conference to be held in Jakarta, June 25th-28th 2018. Chris Barrington, IIMA's Secretary General, will give a presentation entitled "Hot Briquetted Iron - beyond the Electric Arc Furnace." The presentation abstract is shown below. "Hot briquetted iron (HBI) is an ore-based metallic used primarily as ferrous feedstock for the electric arc furnace (EAF). However, for many years HBI has also found application in the blast furnace (BF) and basic oxygen furnace (BOF). In the BF, HBI can fulfil a number of functions such as higher productivity, lower coke rate and reduced CO2 emissions and the higher cost of HBI can be more than offset by such factors. The presentation will outline scenarios where there is an economic benefit from inclusion of HBI in the BF burden and provide a pro-forma cost calculation. In the BOF, HBI is used as a trim coolant and the presentation will outline the reasons for doing so and the benefits derived. The presentation will conclude with information about the production and supply of HBI."